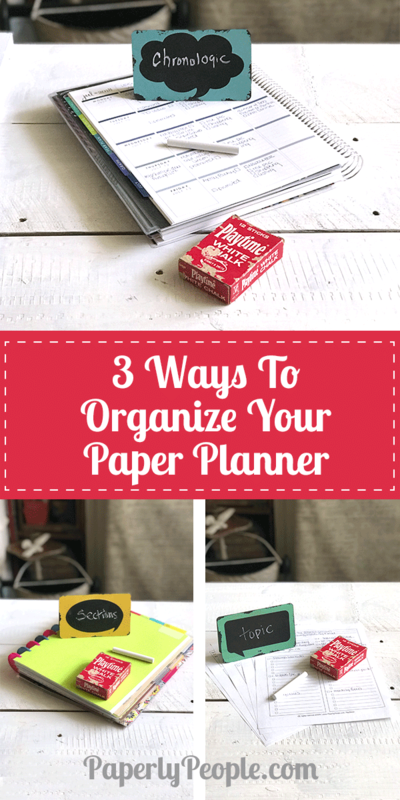 While there thousands of ways to organize your paper planner, I have found three that work especially well for my business and family. 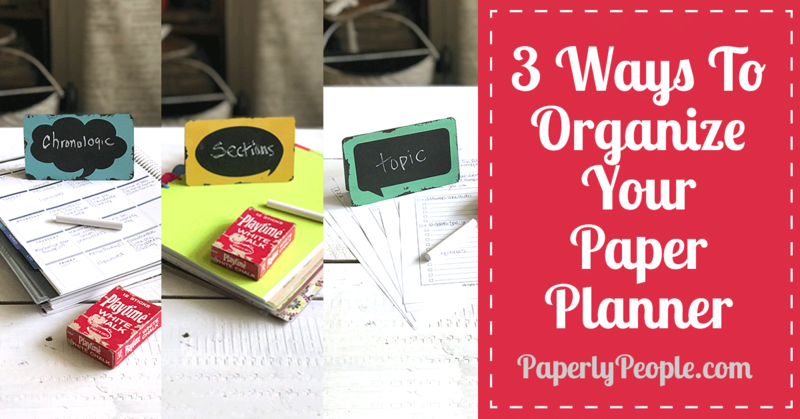 Check out my three planner organization strategies…chronological, by topic and by section! Great tips, ideas and examples. It finally came, that planner you ordered. 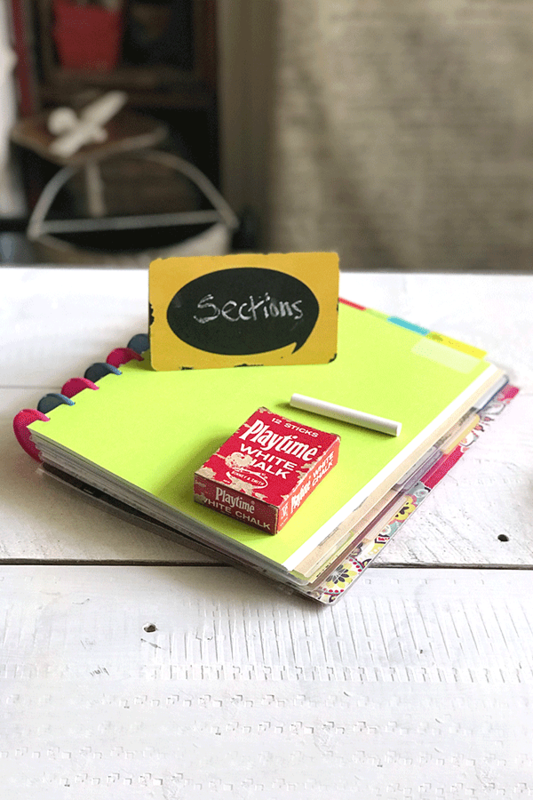 You know you can organize your planner however you like so how should you? A lot of that answer depends on you. It could be any one of a myriad of ways. Being able to quickly get to a week or day to see if you have something scheduled or add a meeting or appointment. It’s a great way to organize your planner. Chronologically is how most people organize their planners so the majority can be right. But there are others if that doesn’t work for you. This way of organizing it works great for busy parents, professionals and others who need to see their day and plan the next easily. I find that there are times when ordering chronologically is the only way I keep my sanity! 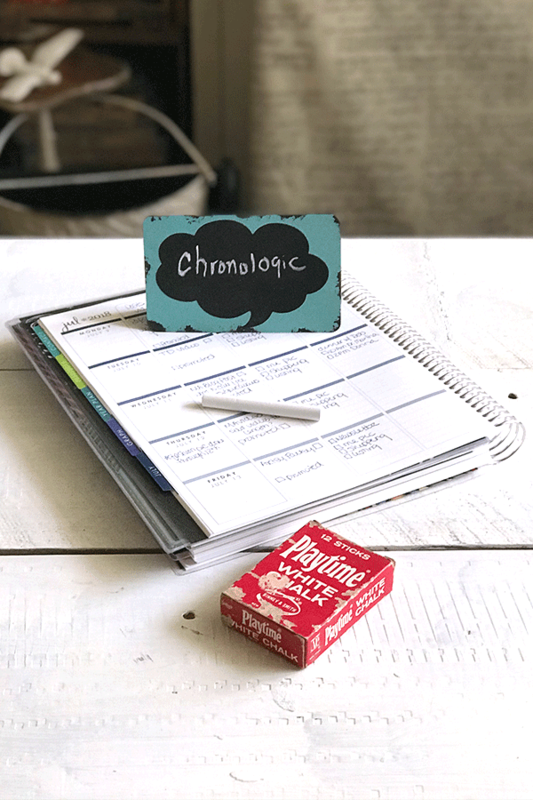 For example, at the start of a new school year when I need to figure out bus times and sports schedules and other after school details, chronologically is the only way to go. Also when I am doing my editorial calendar I work chronologically. I set up my schedule for posts and videos and then mark the times when they are going to be published. I really struggled trying to this online, but in a paper planner I am a rock star! If you use dates and you need to find an idea you jotted down on a specific date, but can’t remember what the date was you won’t be able to find it quickly. 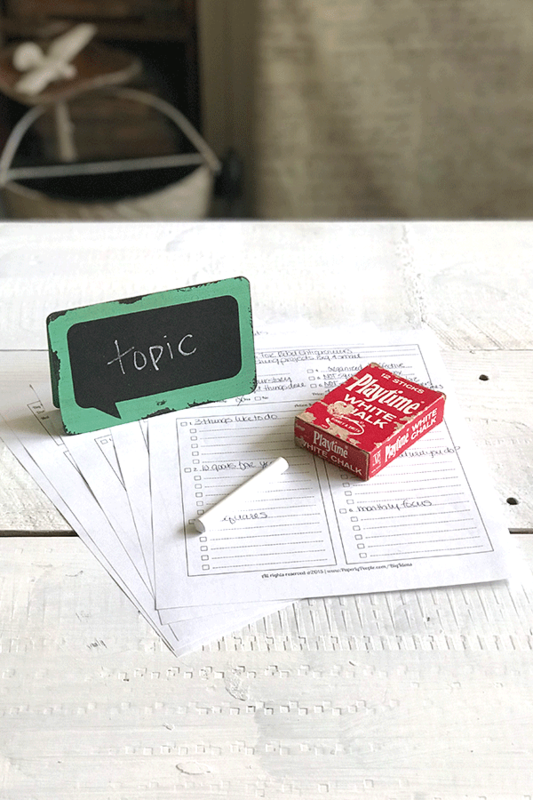 However if you had your planner organized by topic you could find that idea quickly. You get an idea, you flip to the topic where it would fit and presto, note saved and easily found. This way is great for bloggers, authors or other creative people. I use this when I am working on a project. For example, I am working on a course right now (using my big ideas form) and so my planner is full of info about this course. I don’t have appointments or dated deliverables so using the topic method is perfect for this season of my business. Do you have a lot of business interests? Full time jobs, part time jobs, partnerships, etc. Well, what if you need to find a notation for one business interest over another but you can’t remember when or where you noted it? Being able to quickly get to that business to find that information would be helpful. For example, I have sections in my planner for my marketing business, my Etsy stores and then my family. Having everything in neat little sections makes it easy to keep my crazy busy life in order! You can organize each section one way or the other or even combine them. If you organize by topic, you can put a calendar section within each topic. If you organize by business add a topic page and calendar. See how that works? You can make it work however you need it to work. The best part is, if the first way you set it up doesn’t work for you, switch it up. That’s the beauty of a changeable planner!